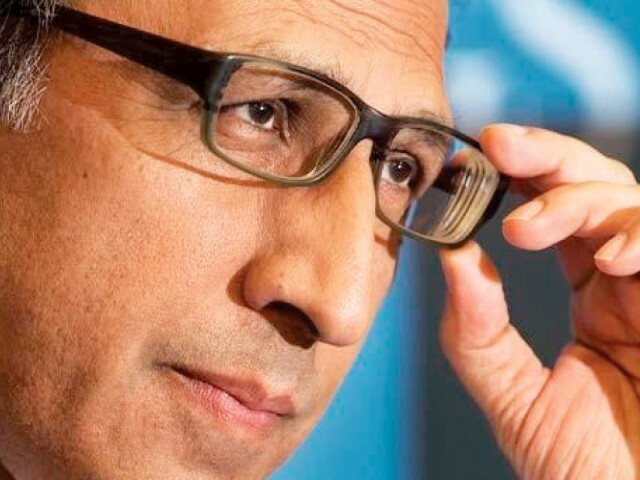 ISLAMABAD:�In what appeared to be a candid admission towards the end of the tenure, Finance Minister Dr Abdul Hafeez Shaikh said on Tuesday there was a lack of success in changing the role of the government in state institutions. Addressing the inaugural session of the 18th Annual General Meeting and Conference of Pakistan Society of Development Economists (PSDE), Shaikh admitted economic challenges have emerged due to weak governance and the obsessive role of the state in key sectors of the economy. He said so far the present government has given over Rs1.4 trillion in subsidies, most of which went to the power sector. The minister spoke at length about the issues besetting the economy, role of the state and reforms introduced over the last four and a half years including financial autonomy for the provinces. His comments on governance and state�s intrusion into business vindicate the stance of those who have been advocating restrictive role of the state to the extent of performing regulatory duties. The minister, however, stressed that reforms always succeed when all the institutions and forces work in order and events are according to the plans, which has not been the case during the past few years. He said expensive oil imports have blunted some of the reforms introduced in the energy sector. Over the past two decades, the share of thermal-based electricity generation has increased to 82% from less than a third. Recognising the role of the Supreme Court of Pakistan in eradicating corruption, Shaikh said functioning of the state institutions can only guarantee tackling corruption. In this regard, he said, the Supreme Court, National Accountability Bureau and Public Accounts Committee were playing their roles. However, he looked displeased with long unchecked growth in the size of the government including both the ministers and federal secretaries, saying the size of the government has a direct bearing on fiscal position of the country. Commenting on the present economic situation, Shaikh said the economy is likely to grow over 4% this year, which is still reasonable. However, the international financial institutions forecast a growth of 3.5%. Though inflation is in single digit, it is still painful, he said and added maintaining macroeconomic stability is the priority of the government. Defending the new tax amnesty scheme, Shaikh said its enforcement will be a key determining factor in the success and failure of the scheme. He believed that this time identification criteria for tax dodgers are better than the past, indicating strong chances of success of the scheme. PSDE President and Pakistan Institute of Development and Economics Vice Chancellor Dr Rashid Amjad asked all political parties to clearly spell out their economic reforms agenda in the upcoming elections and said these programmes should be subject to a critical debate. He also called on the economists to play their role in development of the society and �this is the time (for them) to stand up and be counted�. Amjad underlined the need for tackling the two formidable challenges that the economy is facing. The first is to come out of stagflation in which the economy is mired because of low growth of an average 3% in five years and double-digit inflation. Most worsening is the decline in investment, which has halved in terms of GDP in just five years. The second is to take the economy decisively towards higher sustained and inclusive growth, which will also help ensure social harmony through development and uplift of less-developed provinces, especially Balochistan. He described three pillars of development � macro stability, structural changes and strong and well-functioning institutions � as the key for growth and development of the country. Amjad also highlighted four critical challenges hurting the economy. To confront these, he said, there was a need to increase the tax-to-GDP ratio through better documentation, tackle the energy crisis, stop bleeding of public sector enterprises by putting in place professional apolitical management and accelerating tariff reforms by bringing down protective tariff rates and eliminating the statutory regulatory order (SRO) culture.